Computer Supported Cooperative Work | The Encyclopedia of Human-Computer Interaction, 2nd Ed. Computer Supported Cooperative Work (CSCW) is a community of behavioral researchers and system builders at the intersection of collaborative behaviors and technology. The collaboration can involve a few individuals or a team, it can be within or between organizations, or it can involve an online community that spans the globe. CSCW addresses how different technologies facilitate, impair, or simply change collaborative activities. The CSCW community revolves around a journal and two conference series, one typically held in North America and one in Europe. Books and academic courses followed, and relevant papers appear in other conferences as well. Pointers to these resources conclude this chapter. In 1984 Irene Greif and Paul Cashman coined the acronym CSCW for an invited workshop focused on understanding and supporting collaboration. Technology capable of supporting a group of people was so expensive that workplace deployment was the sole focus. A major topic was email, which in 1984 was poorly designed, not interoperable across different platforms, and used primarily by researchers. The first open CSCW conference was held in 1986. CSCW soon became the principle research forum for the collaboration that was newly enabled by emerging client-server PC and workstation networks. Despite the severe processing and memory constraints in those early days, these networks created new possibilities. What inspired these researchers? In 1988, Greif published Computer-Supported Cooperative Work: A book of readings (Greif 1988). Four of the first five papers describe the inspirational research led by Douglas Engelbart between 1963 and 1984. Engelbart is best known for inventing the mouse, but he had a far broader vision for augmenting human intellect and building high-performance teams through technology. The NLS system he and his colleagues developed and used (See Figure 1 A-B) included many features that took decades to become widely used, including desktop and video conferencing. Author/Copyright holder: SRI International. Copyright terms and licence: All Rights Reserved. Reproduced with permission. See section "Exceptions" in the copyright terms below. 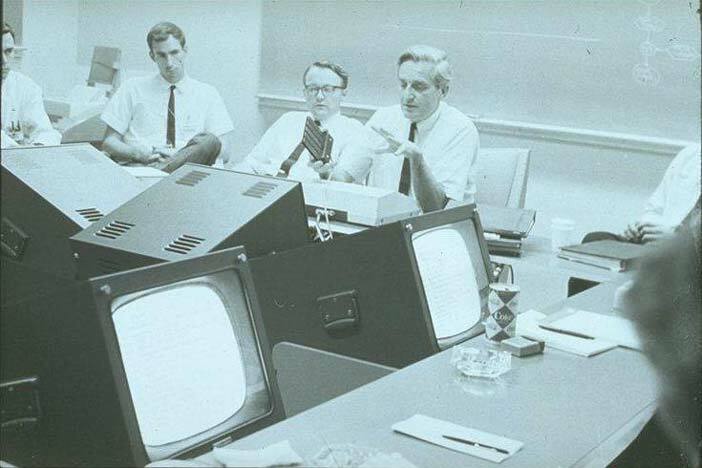 Figure 27.1 A-B: Douglas Engelbart and staff using NLS to support 1967 meeting with sponsors - probably the first computer-supported conference. The facility was rigged for a meeting with representatives of the ARC's research sponsors NASA, Air Force, and ARPA. A U-shaped table accommodated setup CRT displays positioned at the right height and angle. Each participant had a mouse for pointing. Engelbart could display his hypermedia agenda and briefing materials, as well as the documents in his laboratory's knowledge base. Another source of inspiration was more recent behavioral research (also included in Greif’s book), much of it centered on minicomputer office automation systems. These systems supported computer-mediated communication, a term still in use, and the technologies were often called groupware, reflecting the early focus on small groups or teams. Use of this label declined as organization-wide deployment became common and as collaboration features were integrated into more applications. In theory, CSCW could cover any aspect of cooperative work in which digital technology plays a role. In practice, the CSCW research field reflects the interests of its participants. For example, by the mid-1980s database systems were already a maturing technology used in many organizations and not covered within CSCW. Research centered on communication, such as use of email and videoconferencing prototypes, and on small-group interaction, such as collaborative text editing and drawing. Over time, technological advances and shifting interests of CSCW researchers broadened the scope of CSCW. It came to cover interaction within units of all sizes, using both fixed and mobile technologies. Social media are now a major focus. The terms computer, support, cooperative, and work have all been transcended. CSCW encompasses collaboration that uses technologies we do not call computers, collaboration in which technology plays a central rather than a support role, uses that involve conflict, competition, or coercion rather than cooperation, and studies of entertainment and play. A strong European branch of CSCW formed with a somewhat different focus. Several papers in the 1988 conference from Nordic countries described participatory or cooperative design approaches. In 1989 the European conference series began, with strong German and British participation. Liam Bannon and Kjeld Schmidt (Bannon and Schmidt 1989) outlined a vision, some of which came to pass and some of which did not. Whereas much North American involvement was initially from commercial software developers and telecommunications companies, Europe drew mainly from government and academic research focused on large enterprises that at that time typically designed and developed software in-house. The European approach was also more firmly grounded in theory, with activity theory a particularly strong influence (for example, see Engeström and Middleton, 1998). The framework in Table 1 is a useful way to conceptualize collaboration technologies and their similarities and differences. Human behaviors that contribute to collaboration may be roughly divided into three categories: communication, sharing information, and coordination. People may engage in these behaviors at the same time (real time collaboration) or at different times (asynchronous collaboration). Technologies or technology features have been developed to support each of these six components of collaborative behavior. Table 27.1: A two-dimensional collaboration framework with examples of technology features or products found within each cell. Communication tools remains central to CSCW, even as email is studied less and microblogging more. Communication via voice, video, text conferencing, instant messaging, and text messaging have been explored. Waves of research into prototype desktop video systems appeared in the late 1980s, mid-1990s, and early 2000s. As video communication finally blossoms, past CSCW studies covering a range of complex social and interface issues will likely contribute (Poltrock and Grudin, 2005). Social networking sites such as Twitter and Facebook (see Figure 2 A-B) blend communication and information sharing features. Author/Copyright holder: Courtesy of See-ming Lee. Copyright terms and licence: CC-Att-SA-2 (Creative Commons Attribution-ShareAlike 2.0 Unported). Information repositories provide a way to share information. Early studies focused on document management systems, more recently attention has shifted to wikis and Wikipedia, the mountain of freely-accessible information including a complete edit history that is swarmed over by an army of graduate students who analyze it in diverse ways. An early influential study combined visualization and analysis to examine conflict visualized through the history of edit changes (Viégas et al, 2004). Other topics include information reliability, contributor reliability, incentive systems, image contribution, and Wikipedia administration. Team workspaces such as Microsoft’s SharePoint or Google Wave (see Figure 3) provide a managed repository for a team’s artifacts and tools for communicating and sharing information with one another. Author/Copyright holder: Google. Copyright terms and licence: All Rights Reserved. Reproduced with permission. See section "Exceptions" in the copyright terms below. 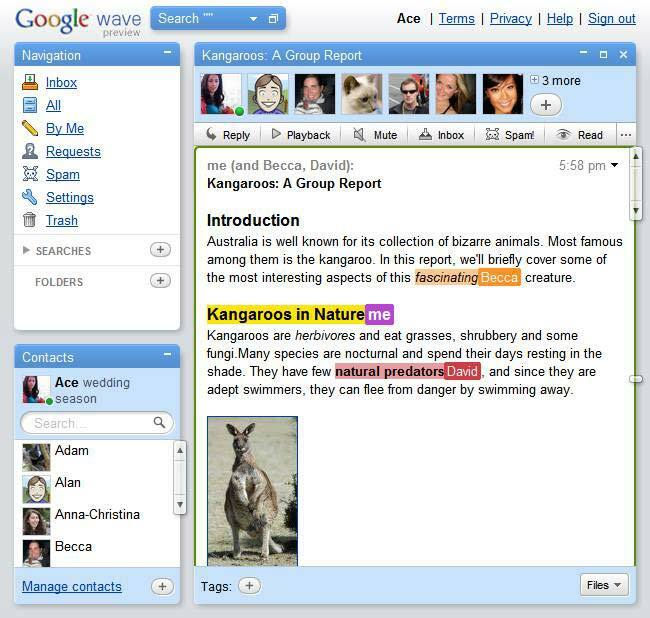 Figure 27.3 A-B: Google Wave conversation and collaboration. 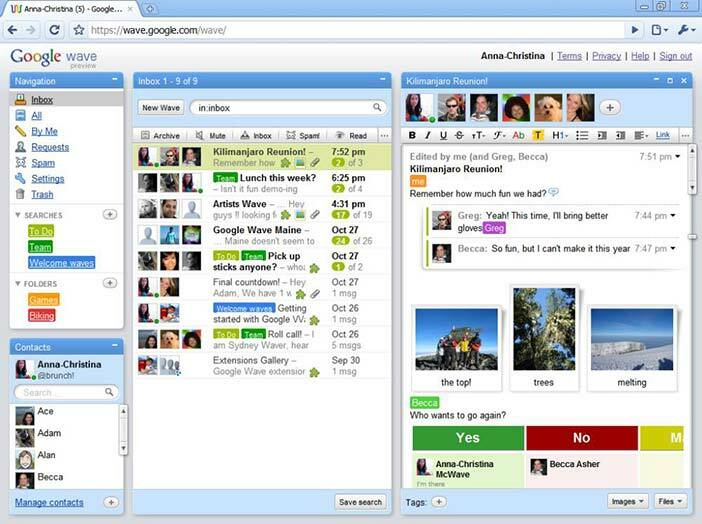 In 2009, Google started beta testing Google Wave, a real-time collaboration environment that Google hoped would eventually displace email and instant messaging. However, Google announced in August 2010 that it had decided to stop developing Wave as a standalone project, due to insufficient user adoption. 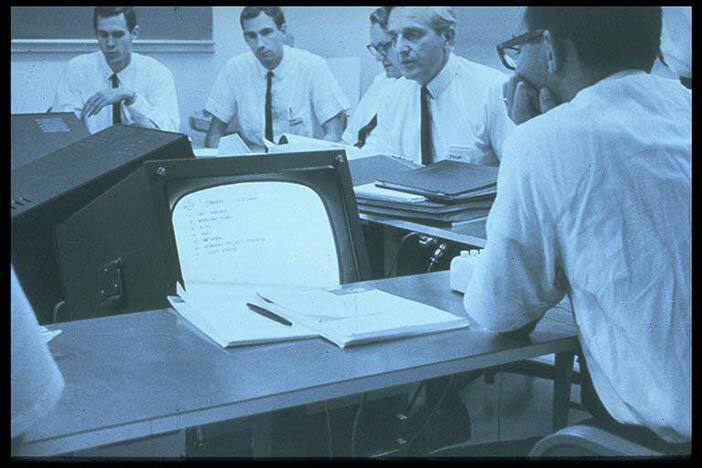 Coordination technologies employed in the workplace such as meeting support systems, group calendars, workflow management systems, and computer-aided software engineering systems were an early focus of CSCW. They gave way to studies of how people coordinate in the absence of (or despite) coordination management technologies. For example, Bowers et al (1995) studied the problems that deployment of workflow technology created in a large printing enterprise. Social networking also enables a new generation of coordination technologies whether mobile and location-aware real-time (e.g., Foursquare and Google Latitude - Figure 4 - or asynchronous - e.g., Groupon’s coordination of purchasing decisions). Figure 27.4: Google Latitude (initial release February 5, 2009) shows your friends on a map--as long as they've agreed to share their location. Another lens for considering CSCW research is the social unit: small groups, teams, projects, organizations, and communities. Many distinctions arise on the continuum from dyads to globe-spanning communities. Three research and development clusters have been (i) the social psychology of groups or teams and technologies to support them; (ii) organizational behavior and support; and (iii) community analysis and support. Social psychologists seek general principles of social behavior that are independent of organizational context. Participants in controlled experiments are often students who are assigned to work in groups. The psychologists’ hope is to generalize the results of controlled experiments to the more variable conditions of the workplace environment. These generalizations may be questionable, but findings of these experiments may suggest behaviors that should be carefully examined in the workplace. Kraut (2003) discusses why the research approach of social psychology was of limited value to technology developers. This research approach led, however, to Joseph McGrath’s (McGrath 1991) invaluable framework that characterizes team behavior in terms of three functions (production, group well being, and member support) and four modes (inception, problem solving, conflict resolution, and execution), as shown in Table 2 below. Table 27.2: McGrath’s (1991) framework for categorizing team behaviors. The key to understanding the framework’s utility is to focus on the columns. Organizations are obsessed with demonstrating that a new technology or process yields a “return on investment,” measured as increased performance: the lower left cell, the production function and the execution mode. This apparently logical goal has two significant drawbacks: It is often impossible to prove that a communication or collaboration tool yields positive performance effects in real-world settings, so much time and money is squandered in futility. Lab studies of technology use overwhelmingly focus on impacts in the lower left cell. Second, with a laser focus on performance, it is easy to overlook that positive or negative impacts in other cells can have crucial indirect consequences. For example, no one could prove a productivity benefit for email. Eventually people stopped questioning it. On the other hand, group support systems (electronic meeting rooms, a major focus of research in the 1980s and commercialization attempts in the 1990s) did well in controlled studies but were never commercially successful. Why? An analysis by Dennis and Reinicke (2004) attributes this to the lack of support for group well-being and member support. One participant in a meeting conducted using a group support system told us that it was the most unpleasant meeting he had experienced in his life, despite its success at accomplishing its stated objective. Some technologies that show no positive effects in lab studies that focus on performance can provide benefits in other cells. They can aid in conflict resolution or problem-solving, enable people to achieve recognition or status, and so on. Videoconferencing can have subtle effects that are difficult to measure in terms of return on investment: It can assist conflict-resolution or problem-solving (Williams, 1997), and if people like it, it could strengthen group ties. As CSCW formed in the mid-1980s, much of the research into group and team behaviors was shifting from social psychology to organizational psychology. Both groups initially participated in CSCW, but organizational psychologists interested in technology use soon shifted to alternative publication outlets. Little of their work appears in the CSCW literature, but it has important implications. Organizations are made up of groups and teams, of course, but the challenge of supporting them is heightened by the diversity of organizational contexts. People in different parts of an organization often respond very differently to the same application (Perin, 1991; Grudin, 2004). 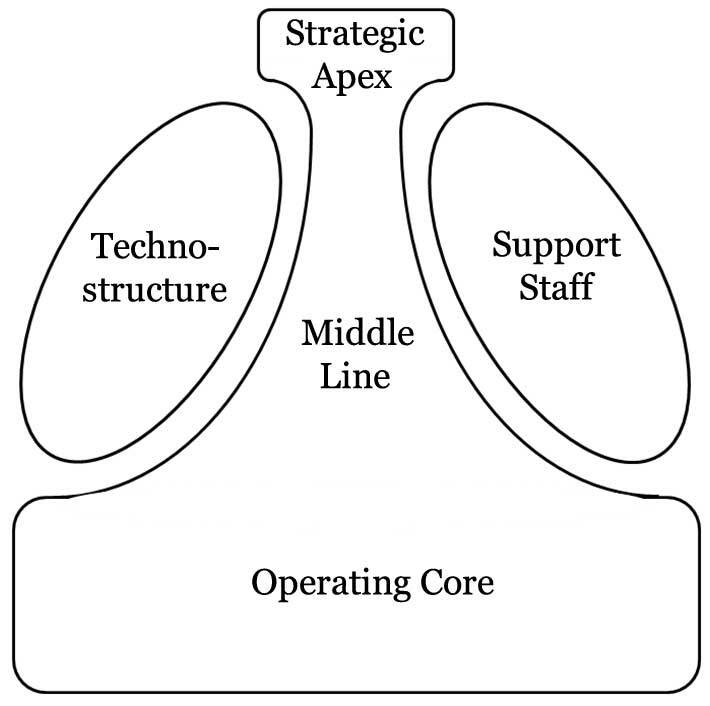 Mintzberg (1984) identifies the major parts of an organization shown in Figure 5: the executives (strategic apex), managers (middle line), individual contributors (operating core), the people formulating work processes (technostructure), and the support staff. People in each of these five areas work and use technology differently. The central three organizational parts have an interesting relationship to the three rows in Table 1 in this chapter: communication, information sharing, and coordination. Individual contributors often communicate extensively and informally with one another. They also have few meetings, cannot delegate work, and their work activity is visible to others in the organization. For managers, a high priority is sharing structured information in documents, spreadsheets, and slide decks. They also have many meetings, can delegate some work, and face a trade-off between the sensitivity of some tasks and the efficiency gained by informing others of their status. Executives coordinate activities of different groups. They are also constantly in meetings, delegate tasks, and their meeting schedules are sensitive. Improving performance, the production-execution cell in McGrath’s framework, requires different technologies and patterns of use in different parts of an organization. For any technology used by all employees, Mintzberg’s groups differ in the features that they appreciate and those that they dislike. Figure 27.5: A graphical summary of Mintzberg’s (1984) model of key organizational parts. In the 1980s, North American CSCW sought commercial applications to sell to the multitude of small groups in the world and European CSCW focused on enterprise systems. As the 1990s progressed, application developers discovered that they could not ignore the organizational context of groups, and enterprises began acquiring and adapting commercial applications. As the two CSCW camps came together, ethnography was positioned to assist both. Lucy Suchman’s group at Xerox PARC spearheaded the influx of ethnographers into CSCW. Qualitative research methods revealed the effects of context on social behaviors, provided deeper understanding of the means of collaboration, and offered new insights into how technology could support or disrupt collaboration. Luff et al (2000) is a compendium of studies and analyses that show the potential for ethnographic approaches to inform system design. While researchers and developers focused on group and organizational support, use of the Internet and then the Web grew, producing the bubble that burst spectacularly at the turn of the century. Warren Buffet observed that when the tide goes out, we discover who was swimming without trunks. As it happens, some were swimming with trunks—ecommerce and web-based communities took hold. Network technologies provided support for existing communities and created many new ones. Early CSCW research indicated that evangelizing and facilitation are needed to achieve necessary levels of group and organizational participation in brainstorming and other collective activity. On the Internet, with enough participants, a critical mass of participation is more readily found. Crowdsourcing and viral spread of use appeared. Collaborative filtering was one of the most influential research topics (see Herlocker, Konstan & Riedl, 2000, and work cited therein). Large scale of use also gives rise to “big data” and a path for obtaining insight into how and when people communicate and share information. Network analysis, data mining, and machine learning gained prominence. Wikipedia’s transparency has led to scores of analyses. Search engines and proprietary tools such as Facebook restrict access, but studies surface. Stepping back, we see steady progress in the use of collaboration technologies. Up close, it often proceeds more slowly than expected. Introducing a new technology is initially disruptive; it requires a leap of faith to believe that eventually greater efficiency or effectiveness will result. In addition, we are social beings, with preferred ways of interacting represented in our genes and in social conventions developed over a long time. We are not always consciously aware of them, but a technology that violates them is unlikely to succeed. The following table, Table 3 is adapted from Grudin (1994a). The fact that it and related earlier work is among the most cited topics in CSCW is an indication that these are stubborn challenges. They affect not only developers, but also those involved in acquiring and deploying collaboration support tools. Table 27.3: Eight design and adoption challenges. When a technology requires that some of its users perform additional work without a compensating benefit, adoption may not follow. A corollary is that a decision about which technology to research, develop, or deploy is generally based on the intuitions of managers who may not appreciate how the technology will be received by other group members. A collaboration tool may not achieve the necessary critical mass of users. For example, one of the most actively researched CSCW applications was desktop videoconferencing; generally only some people had video, but everyone could be reached by telephone. (The converse problem is the tragedy of the commons: a technology may cease to be useful if too many people embrace it.) More insidious is the prisoner’s dilemma: If everyone looks to their own best interest, perhaps by free-riding on the efforts of others, then outcomes deteriorate and use may collapse altogether. Adverse social and motivational effects can result when a new tool disrupts existing channels, creates uncertainty about where to find information, and challenges existing authority structures. For example, executives who adopt a communication tool that enables them to interact directly may find that their administrators, now out of the loop, are less effective at managing their schedules and anticipating events. A major contribution from ethnographic studies is the observation that group behavior often focuses on handling exceptions or unanticipated events. Technologies designed to coordinate work activities often incorporate and enforce models of standard work processes and cannot gracefully handle deviations from such models. Collaborative features often must paradoxically be unobtrusive, because they are often used less frequently than other features, yet readily accessible when needed. ...and adopt. Designers must consider what will be needed to promote successful adoption from the outset. Mark and Poltrock (2004) studied a success case, the rapid adoption of data conferencing in a large organization, with minimal technical support and no management mandate. A system of overlapping distributed social groups overcame differences in local customs, values, and infrastructures when members of a group supported adoption by other members, regardless of their location. Rapid technology change has been a driving force in this field, most clearly seen in the fact that 25 years ago, few people were on the Internet, the Web did not exist, and the computers of the time could generally do only one task at a time. 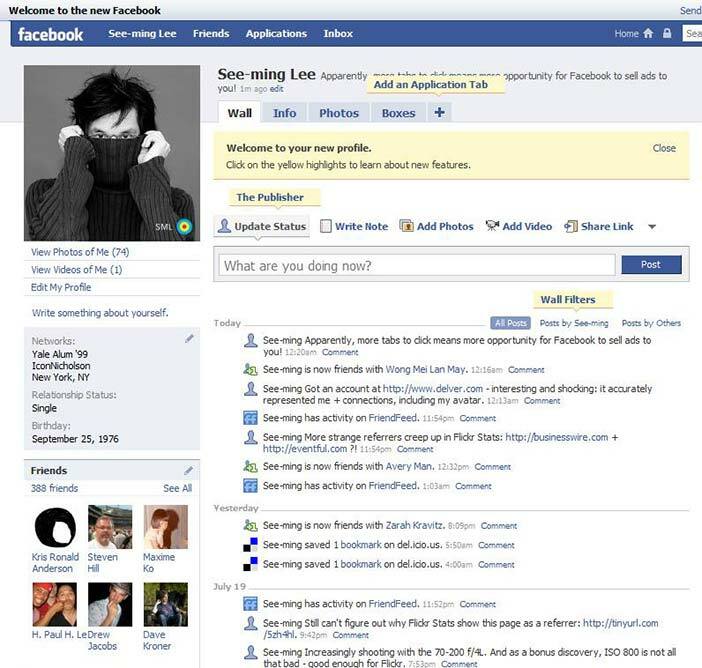 The social media of today have predecessors in chat systems of decades past, but using a simple chat application then required all the resources of an expensive desktop computer. 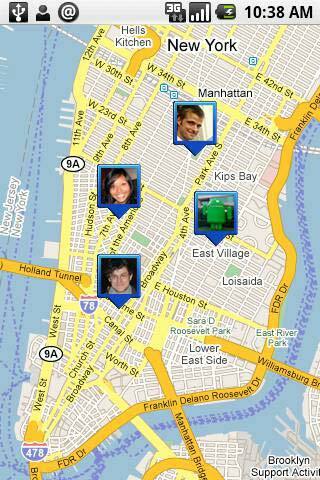 Today, feature rich applications run in the background or one window, or on an inexpensive mobile phone. The experience is constantly being radically reinvented. Technology change has shaped not only communication and collaboration possibilities, but the relevant social issues. A nice illustration is our awareness of the activities of distant collaborators. For many years, people only saw what collaborators sent or told them. Passive awareness was technically difficult. Then, between 1992 and 1995, as local and wide area networks spread, the first three CSCW papers with ‘awareness’ in the title were published. The World Wide Web took hold. ‘Awareness’ appeared in 12 paper titles from 1996 through 1999. The stance toward remote awareness rapidly evolved. The first paper, “Awareness and Coordination in Shared Workspaces” (Dourish and Bellotti, 1992) celebrated its achievement and potential utility. Several years later, the focus shifted to risks of too much awareness, as in “Techniques for Addressing Fundamental Privacy and Disruption Tradeoffs in Awareness Support Systems” (Hudson and Smith, 1996). A similar progression occurred with another awareness tool, desktop videoconferencing. In 1992, prototype builders argued for surreptitious monitoring of colleagues: “One-way connections have advantages we are unwilling to give up. Glances allow us to maintain our awareness of colleagues without actually engaging in interaction with them... Video provides an excellent means to gain awareness unobtrusively; enforcing symmetry for the sake of privacy would undermine this functionality” (Gaver et al., 1992). Slowly, the initial tolerance of privacy invasion and the stress on maximizing technology use faded. The first step toward greater symmetry in awareness was an audible notification that one was being watched but no indication of who it was, and eventually invitation and reciprocity became the norm. Along with the increase in capability, declining technology prices enabled researchers to get ahead of the curve. Collaboratories have been developed to support large-scale multisite efforts, primarily in scientific research, engineering, and education (see Olson and Olson, 2012). Their lofty goals enable many of them to get ample funding, but the communication and collaboration problems they encounter will be common in other settings, so studying them to glean best practices and technology requirements is a logical research strategy. Moore’s law has not been revoked, and a massive industry employing a lot of ingenious people has a stake in insuring that smaller, more powerful, less expensive technologies continue to surface. Smaller sensors and effectors, larger displays, better networking, and powerful visualizations will drive innovation and open design opportunities. Interest in multi-user simulations and virtual worlds has waxed and waned. Second Life (see Figure 6) attracted attention in the late 2000s. World of Warcraft is a gaming success. Dramatic high-end uses of technology that have appeared in theme parks are strong indications that compelling, fully immersive digital environments are possible and will eventually be affordably priced. Author/Copyright holder: Courtesy of Hildekd. Copyright terms and licence: pd (Public Domain (information that is common property and contains no original authorship)). Figure 27.6: A group meeting in Second Life - circa 2010. Opportunities on the behavioral side come from two directions. As technology is used to support more of our activities in ever finer granularity, changing those activities as it does, there is a tremendous need for — and benefit in — understanding the changes around us, some of them broad and others domain-specific. This is a golden opportunity for ethnography; organizations and societies have never evolved as rapidly and profoundly as they will in the years ahead. At the same time, the information streaming over networks presents unparalleled opportunities for data mining and information visualization, and for machine learning to find and exploit patterns in the data. In the past, large-scale statistical analysis and ethnography were largely distinct undertakings, but in the future the two will work together, the former finding correlations and patterns, the latter enabling us to discover what they mean and identify other patterns to look for. Education, medicine, and software development are domains in which communication, information sharing, and coordination are of wide interest. Of these, education is coming to the fore, because a key facet is information that can be readily digitized and shared. With the availability of so much information of variable quality, a new set of skills is required of students — browsing, skimming, assessing, and synthesizing to a greater degree than before. The single largest issue that we are likely to contend with, as individuals, organizations, and societies for a very long time, is how to deal with transparency. Once information is digital it can show up anywhere at any time in the future, and much more is represented digitally every minute of every day. In this way, we learn that people do not behave as we thought they did or believe they should, people do not follow policies, regulations, or laws as closely as we imagined, social conventions are not honored consistently, and violations of all of these are prosecuted unevenly. We see chaos, inconsistency, and fallibility that was always present but not revealed. How will we react? Formulate more nuanced rules, enforce them more strictly, or become more tolerant of deviation? The field of CSCW that had come together around groups in organizations in the 1990s has now split again, with North America highly focused on social media and online community and European CSCW focused on organizational issues and domain-specific research and development. CSCW has become more prominent in Asia and South America as well, with elements of each focus. It is plausible that these efforts will converge again as social media move into widespread use in a broad range of organizations. General conferences with papers relevant to CSCW include CHI (ACM) and INTERACT (IFIPS). Also relevant are specialized conferences such as WikiSym (proceedings archived by ACM), ICWSM (AAAI International Conference on Weblogs and Social Media, Ubicomp, Pervasive, PDC (Participatory Design), COOP (Design of Cooperative Systems), and GROUP (ACM). Greif, Irene (ed.) Proceedings of the 1988 ACM conference on Computer-supported cooperative work September 26 - 28, 1988, Portland, Oregon, United States. Grudin, Jonathan (2004): Managerial Use and Emerging Norms: Effects of Activity Patterns on Software Design and Deployment. In: HICSS 2004 2004. Krasner, Herb and Greif, Irene (eds.) Proceedings of the 1986 ACM conference on Computer-supported cooperative work December 03 - 05, 1986, Austin, Texas. Poltrock, Steven and Grudin, Jonathan (2005): Videoconferencing: Recent Experiments and Reassessment. In:HICSS 2005 - 38th Hawaii International Conference on System Sciences 3-6 January, 2005, Big Island, HI, USA. I work in the Adaptive Systems and Interaction Group at Microsoft Research, part of the Microsoft Corporation. 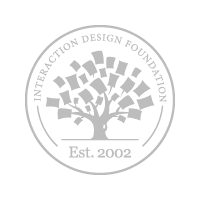 My research is in human-computer interaction and computer supported cooperative work, with a particular focus on the design, adoption and use of group support technologies. Some of the work below was done in the Collaborative and Multimedia Systems Group. 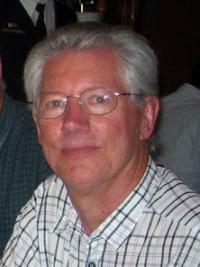 Prior to joining Microsoft Research, I was Professor of Information and Computer Science at University of California, Irvine. I have taught at Aarhus University, Keio University, and the University of Oslo, and worked at the MRC Applied Psychology Unit, Wang Laboratories, and MCC since earning my Ph.D. at UC San Diego.